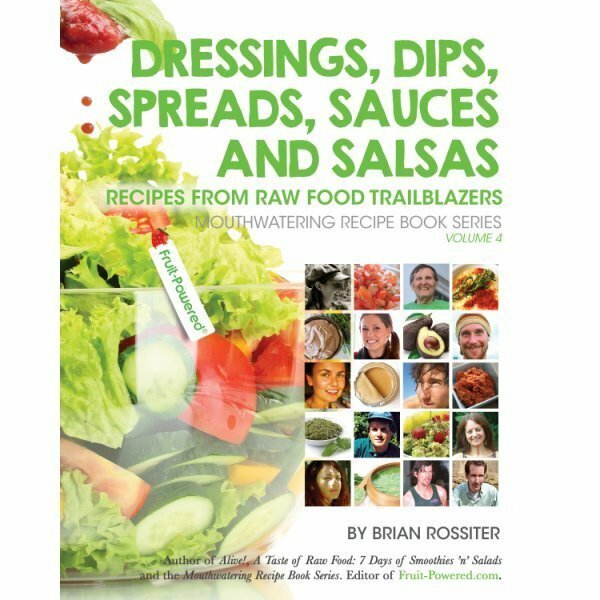 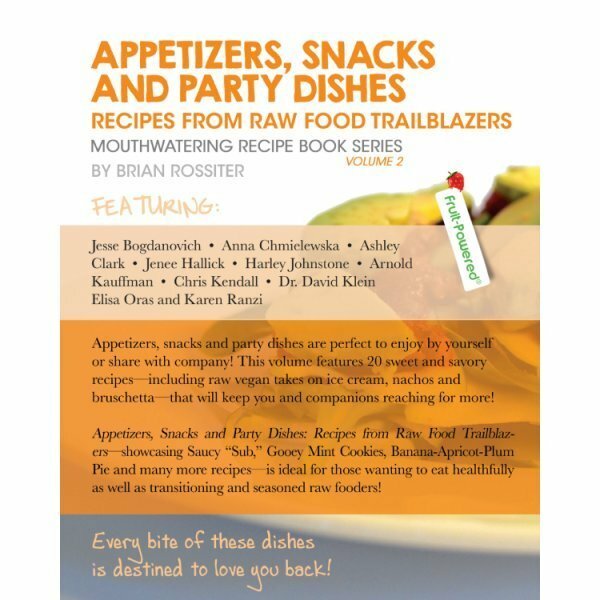 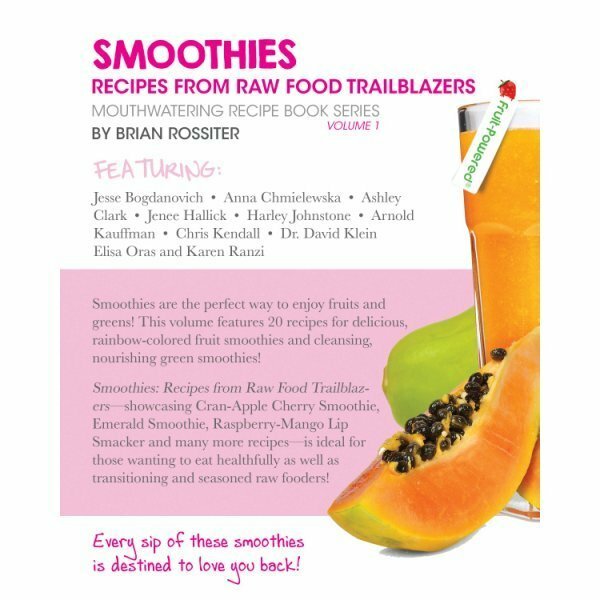 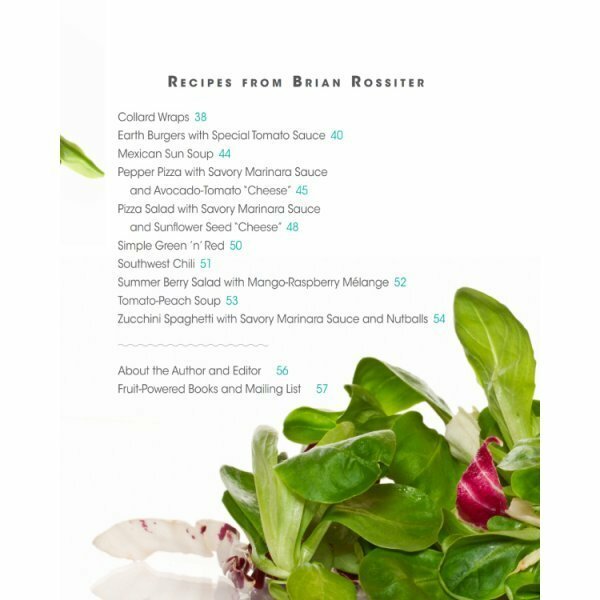 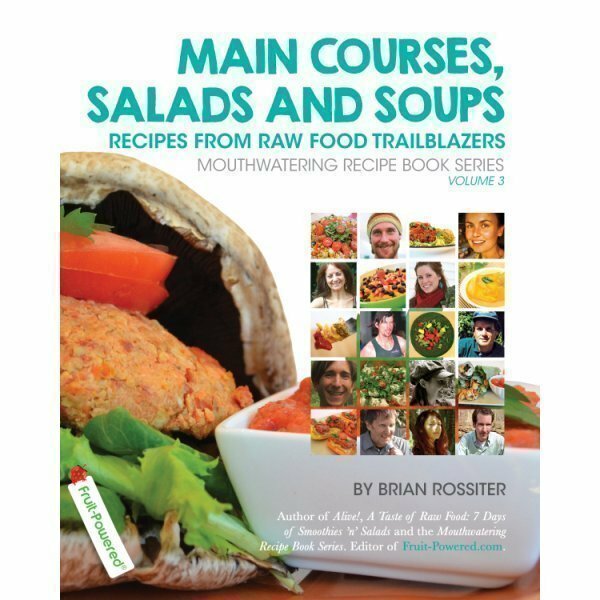 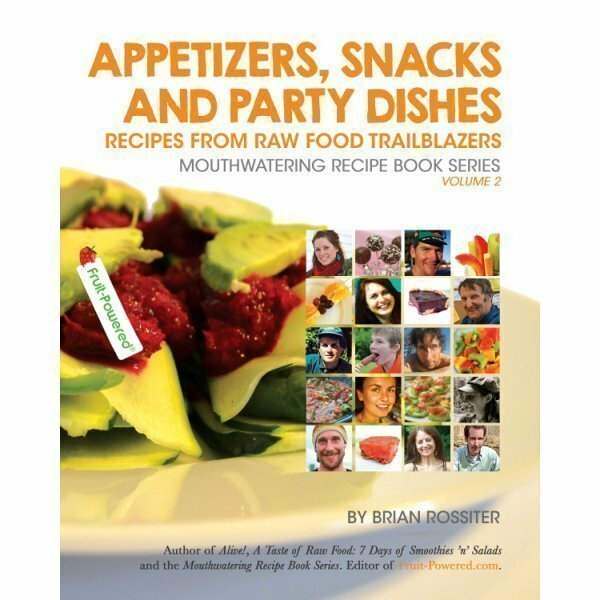 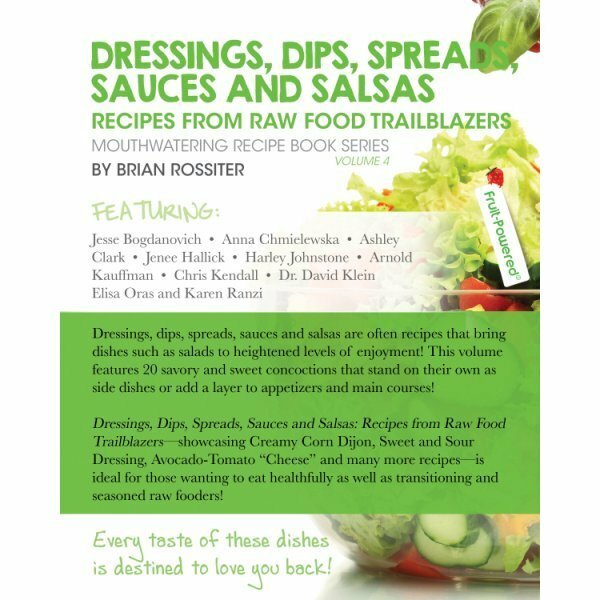 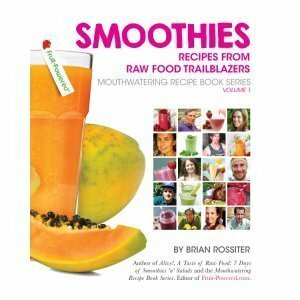 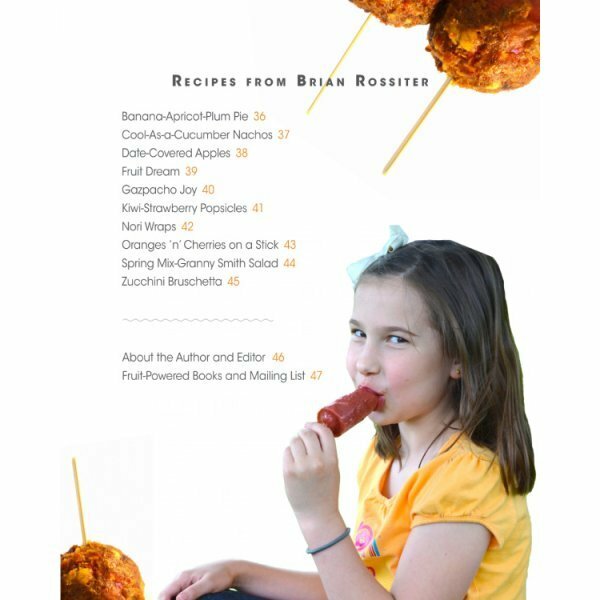 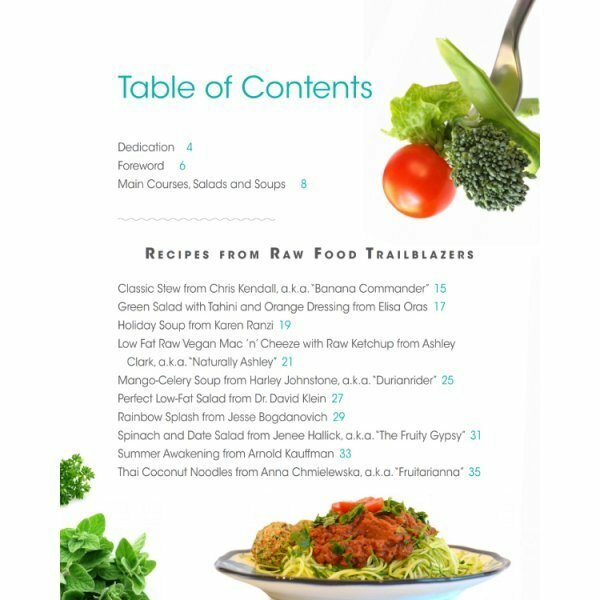 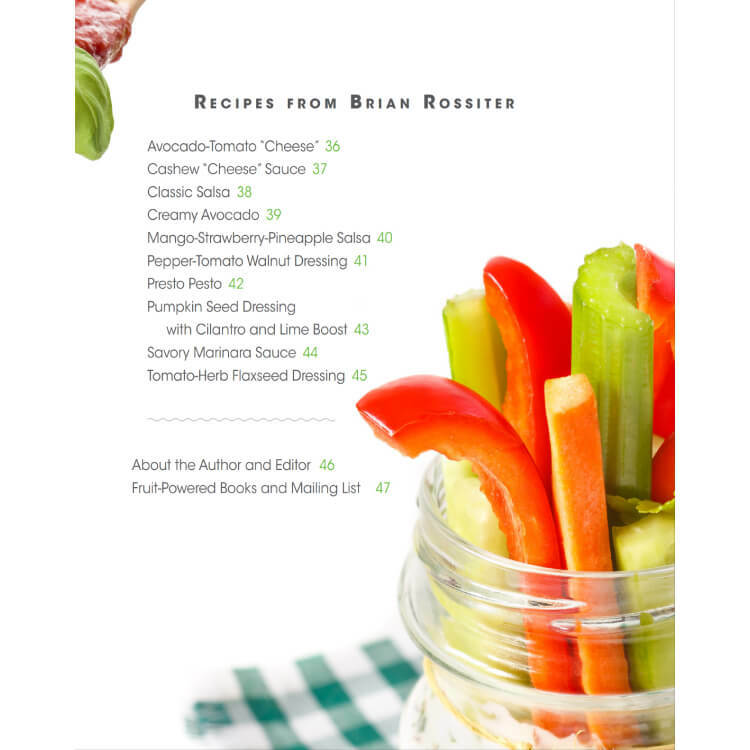 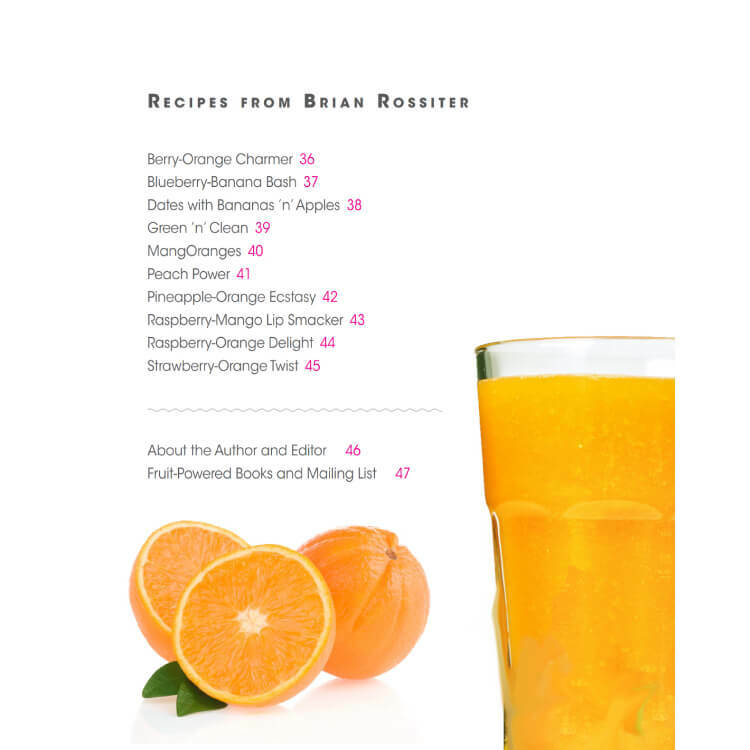 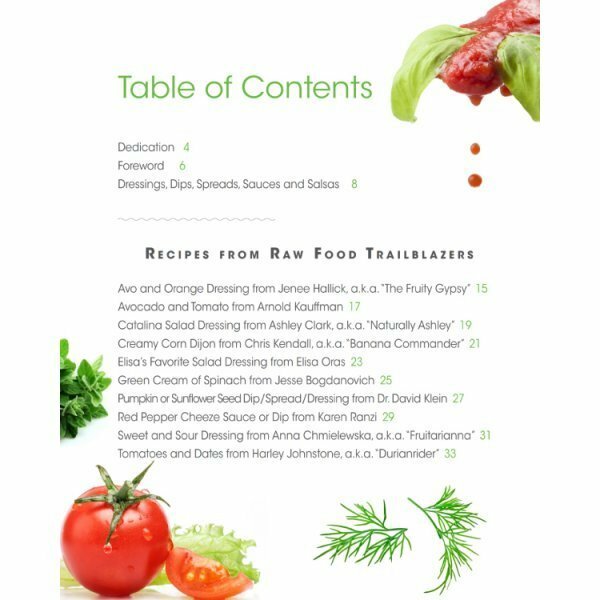 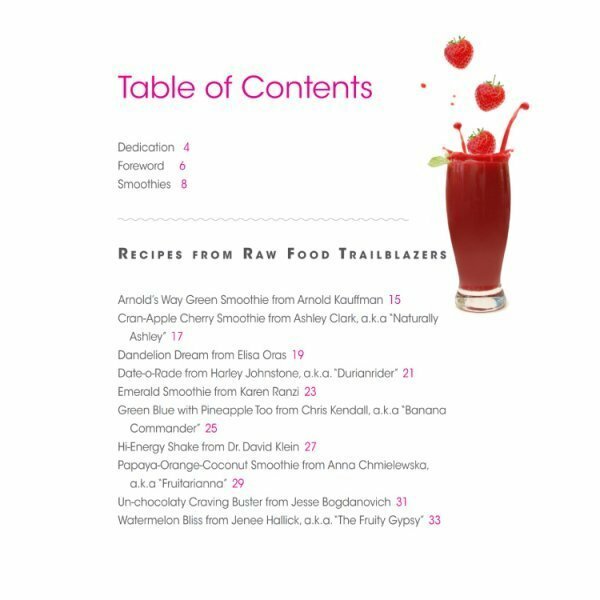 The Mouthwatering Recipe Book Series is a four-volume set featuring 80 raw vegan recipes from Fruit-Powered’s Brian Rossiter and 10 other raw food trailblazers from around the world. 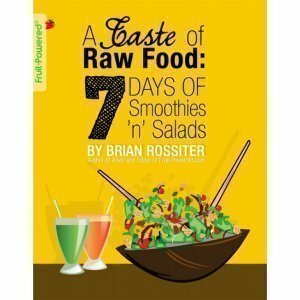 The Mouthwatering Recipe Book Series, a four-volume set featuring 80 raw vegan recipes, by Fruit-Powered’s Brian Rossiter is the perfect gift for health seekers! 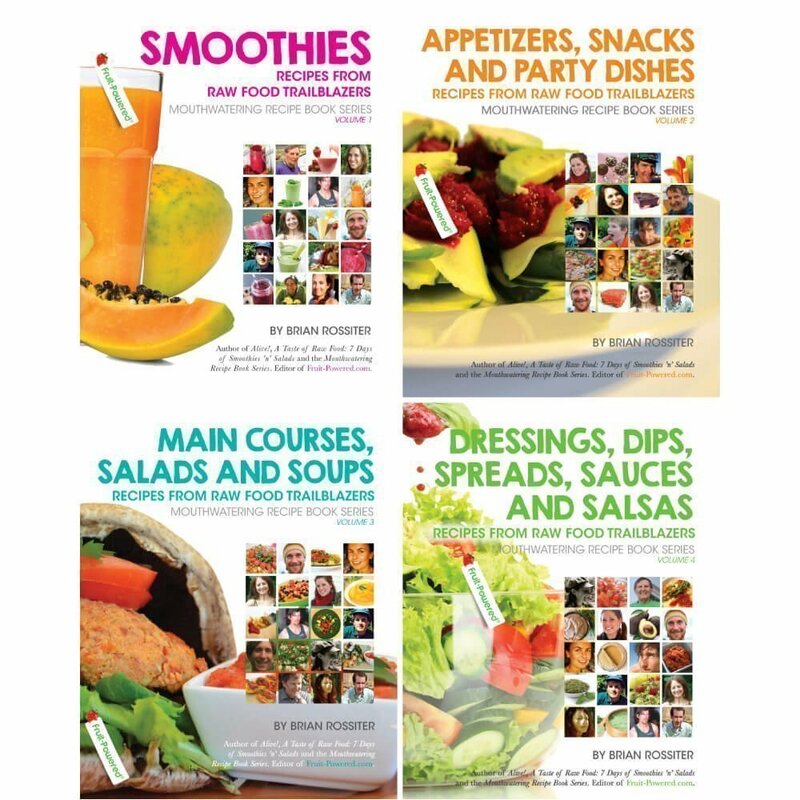 Save almost 40 percent on this ebook package compared with purchasing volumes separately! 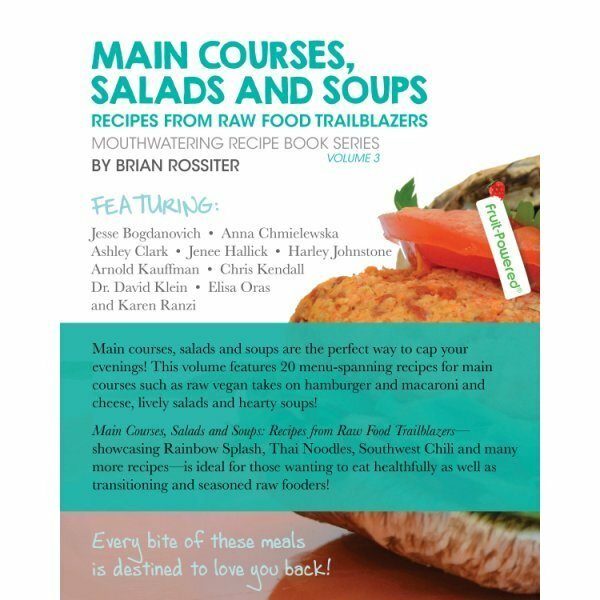 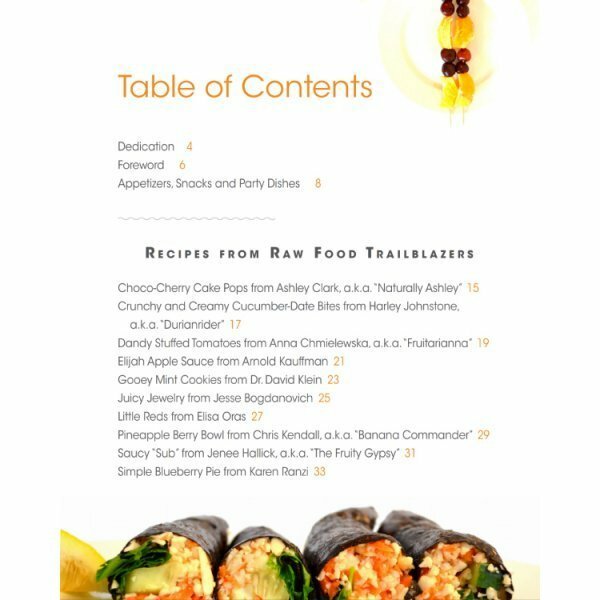 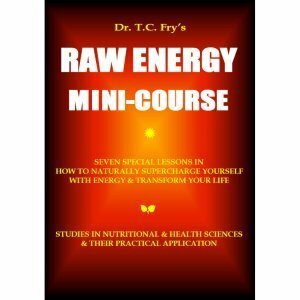 The dozens of raw vegan recipes published in the Mouthwatering Recipe Book Series cover all your day’s meals! 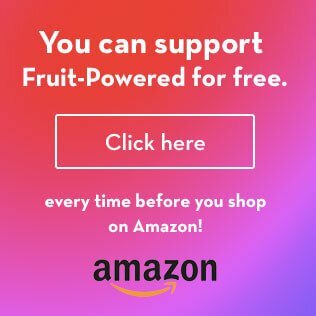 You’ll discover and enjoy delicious and nutritious fruit smoothies, green smoothies, appetizers, pies, dinner recipes, lively salads, hearty soups, savory and sweet concoctions that stand as side dishes or layers to appetizers and main courses. 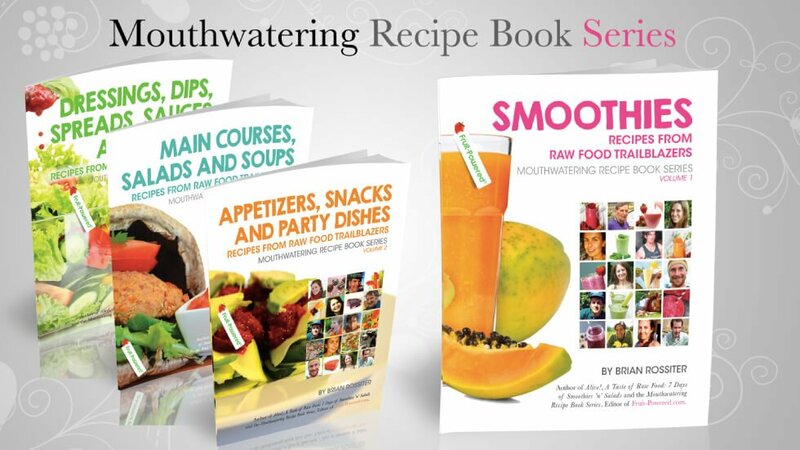 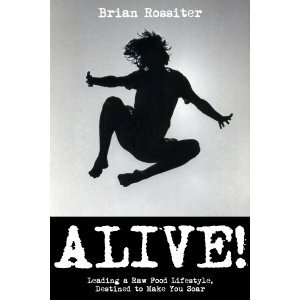 Mouthwatering Recipe Book Series titles are lavishly designed, with eye-popping images leaping off the pages. 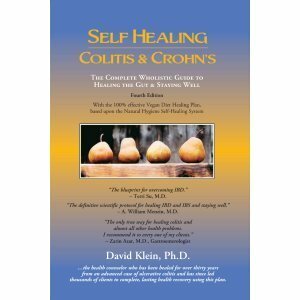 The series is available as an ebook package and as ebooks and print books separately. 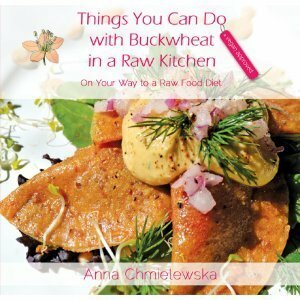 All volumes are designed by Anna Chmielewska.